Arjun Ashok, son of actor Harisree Ashokan is making his second outing in malayalam through 'Queue' directed by Sakkir Madathil. With a number of star kids dominating the Malayalam film industry, it would be good to see more young actors gearing up to prove their skill following the path of yesteryear actors. Prithviraj, Indrajith, Fahad Fazil and Dulquar Salman, the young star kids who are dominating the malayalam film arena will be getting few followers, making a try with acting before camera. Keeping academics by the side, more star kids have made a safe landing into the dream world of entertainment. Adding more to line here comes Krish Sathar (son of actors Sathar and Jayabharathi), Niranj Sudheerkumar (son of Manianpilla Raju), Arjun Ashokan (Harisree Ashokan's son), Jubil and Unni (sons of the late actor Rajan P Dev) and and Sanil Sainudeen (son of late actor Sainudeen). Arjun, son of Harisree Ashokan who made his filming debut with 'Orkut Oru Ormakkoottu' would be seen in Sakkir Madathil's directorial debut Queue. Born to keep the hereditarily gifted quality of telling homour, Arjun is over ambitious about his upcoming project while he share screen space with Sanil Sainudeen, son of late actor Sainudeen, Swarna Thomas (Amritha TV Super Dancer Junior 2 fame) and Devika. 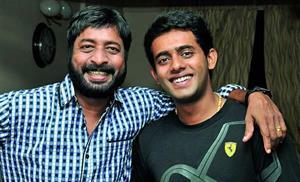 More interestingly, both Arjun and Harishree Ashokan would play in the father and son roles. Even though both have been featured in Arjun's debut Orkut oru Ormakoot, it would be 'Queue' which has made possible for the duo to entitle characters as in real life. Arjun will do the character role of a bold and serious person in 'Queue' which is just opposite to his real self. Reaching high to find comfort with supporting roles, Arjun loves to do comedy embedded within better lead characters. Even though residing in Kochi, Arjun is making a long journey to SNGM College in Cherthala for his studies. During his schooling at Chinmaya Vidyalaya, Arjun had been a part of the team which had made witty short films. Giving main concern to studies, Arjun likes to keep his head high, moving forward with his passion towards acting. 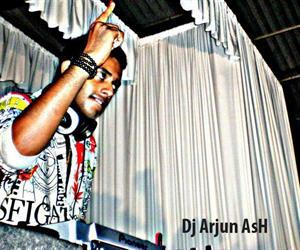 Arjun's interest towards remixing songs is much known while the chap had been doing Djing with the Loop – School of Djs with the name 'Dj Arjun Ash'. Queue will have Sanil, son of Sainudeen donning the role of a Theater owner who struggles to run it. Mukesh, Nadirsha, Kalabhavan Shajon and Vijayaraghavan would be coming in supporting roles.